This is my fourth year teaching at St. Joseph. 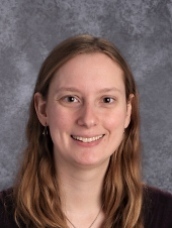 I have an 8th grade homeroom and teach 8th grade reading, language arts, religion, and vocabulary; 7th grade reading; and 6th grade reading and language arts. While this is my fourth year at St. Joseph, this is my eighth year teaching. I earned my undergraduate degree in Secondary English Education at DePaul University and my master’s degree in Reading and Literacy and Reading Specialist certification from Benedictine University. I have attended Catholic schools for all of my education, and I enjoy teaching here with the supportive faculty and caring families and students at St. Joseph.